Watch the video below. If watched, you will understand the connection. 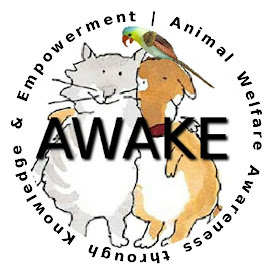 I think it is critically important at this point in time for us all to realize that the Animal Rights Movement is being embraced to facilitate the implementation of Agenda 21. Agenda 21 is a UN mandate to create a “sustainable planet”. To better understand the word “sustainable” in this context just substitute the word “acceptable”. Agenda 21, once fully implemented, will dictate the manner in which all resources are used as well as define which of our behaviors are “ acceptable”. Since we know that the use of animals must cease and domestic species must be eliminated according to the tenants of Animal Rights, then it is safe to assume that we animal owners, breeders, and farmers are in grave danger from Agenda 21. HSUS and other ARO’s are simply vehicles being used to implement the larger agenda- Agenda 21. The fracas that has been created about “animal protection, preventing animal enslavement, etc” is nothing more than a red herring to confuse and distract us away from what is really the root of this poisonous tree. In California , SB 917 and AB 1117 are not simply about preventing roadside sales nor the prevention of animal cruelty and neglect. It is about the destruction of farming and animal breeding just as we suspected all along. Likewise, the restriction of water to southern central valley California farms was not about the protection of the Delta Smelt. That was just the excuse used. What this is really about is power and control over the American citizenry by controlling the production of food. Please share this information with everyone you know. We still have a slim amount of time to save our freedom but time is quickly running out. Traditional electronic meters measure usage and require a meter reader but smart meters measure in real time, alert consumer of usage, and can be remotely disconnected to control usage. Why did the Administration create the White House Council To Strengthen Rural Communities with an Executive Order this June? Hint: it will do anything but “strengthen” rural American. In fact, the plans are in place to take control and dismantle the rural grid as we know it. Secretary of Agriculture Tom Vilsack just announced plans to modernize the nation’s electric grid and for the USDA to put $250 million in smart meter implementation in rural American within the year. The following article explains the use of the modern electronic grid (smart meters) to control the rural food grid. On June 9, 2011, the Obama Administration Established the “White House Rural Council to Strengthen Rural Communities” via Executive Order. “Strengthening Rural Communities” is the spin. The real issue is control. Rural communities are where food is grown, and control of food is a main priority for the New World Order. So, who is in charge of this Council? Why the U.S. Secretary of Agriculture, Tom Vilsack, of course! Just what is this new Rural Council? The White House Rural Council will coordinate programs across government to encourage public-private partnerships to promote further economic prosperity and quality of life in rural communities nationwide. Chaired by Secretary of Agriculture Tom Vilsack, the Council will be responsible for providing recommendations for investment in rural areas and will coordinate Federal engagement with a variety of rural stakeholders, including agricultural organizations, small businesses, and state, local, and tribal governments. Well, that is sufficiently vague to encompass just about anything. The following video describes its true agenda, which is to usher rural farming communities straight into the total control of Agenda 21.And just what is one of the first things that Secretary Vilsack, as Chair of the Council going to do? Attack rural America with Smart Meters. Agriculture Secretary Tom Vilsack joined Administration officials today to announce initiatives aimed at modernizing the nation’s electric grid, including USDA’s goal to invest $250 million in smart grid equipment deployment in rural America over the next 12 months. (1) Increased use of digital information and controls technology to improve reliability, security, and efficiency of the electric grid. (2) Dynamic optimization of grid operations and resources, with full cyber-security. (3) Deployment and integration of distributed resources and generation, including renewable resources. (4) Development and incorporation of demand response, demand-side resources, and energy-efficiency resources. (5) Deployment of `smart’ technologies (real-time, automated, interactive technologies that optimize the physical operation of appliances and consumer devices) for metering, communications concerning grid operations and status, and distribution automation. (6) Integration of `smart’ appliances and consumer devices. (7) Deployment and integration of advanced electricity storage and peak-shaving technologies, including plug-in electric and hybrid electric vehicles, and thermal-storage air conditioning. (8) Provision to consumers of timely information and control options. (9) Development of standards for communication and interoperability of appliances and equipment connected to the electric grid, including the infrastructure serving the grid. (10) Identification and lowering of unreasonable or unnecessary barriers to adoption of smart grid technologies, practices, and services. If you are using too much electricity, the kill switch is there to make sure that you are in compliance with mandated electrical usage. If you are trying to grow food, and your electrical consumption is high because of it, you can be cut off. No electricity means no water. No water means no crops. This is a total control grid. The noose is tightening, and food is on the menu for complete corporate control. Control the food, and you control the people. Control the water, and you control the food. Control the electricity needed to pump the water, and you effectively place that noose squarely around our nation’s neck.